Polished and cozy aren’t typically the first words that come to mind when you think industry? Think again! 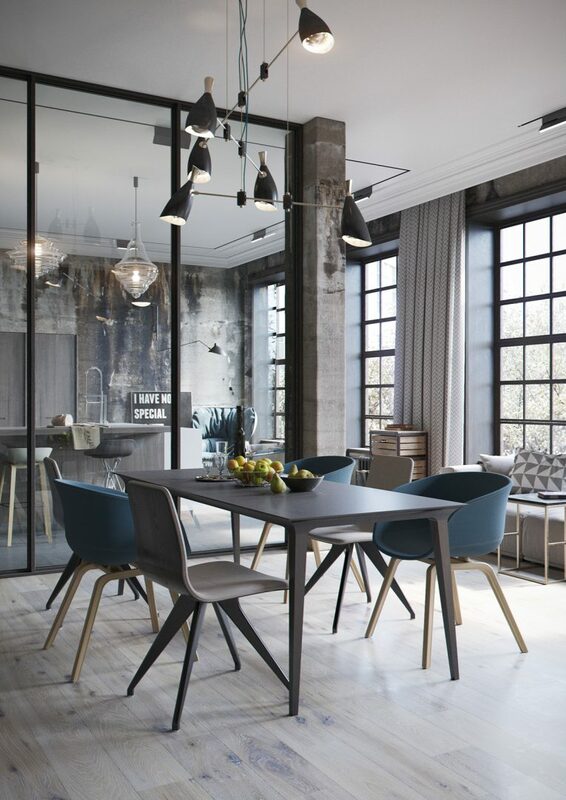 Industrial interior design can be extremely stylish and comfortable. What other design styles try to hide, Industrial Chic lets shine. With rawness and edges taking the lead, it’s all about what’s underneath. It’s the perfect choice for lofts and office spaces. Where does the Industrial style come from? “Industrial” refers to the style of furnishing reminiscent of worker’s housing and factories from the Industrial Revolution. It’s believed that the style originated in New York and London, where old warehouse and factory buildings were converted into apartments due to housing shortages. Huge rooms, high ceilings: With so much space for creativity, it’s no wonder that in the early 40s, a great deal of artists called these converted factories home. These days, it’s not just creativity that draws people to such live-in studios. What was once considered emergency housing has become highly sought-after rental property. Unique features in the forefront. Everything that the architecture brings along becomes useful – structural elements, like beams and pipes, turn into showpieces. It’s a functional and minimalistic style that works to frame your favorite furniture and bring decorative pieces into focus. With Industrial Chic, there are no rules: Old mixes with new. Untreated, rough pieces sit brilliantly next to classic furniture. Vintage and quirky finds become decorative masterpieces. And while gray, beige, black and brown are generally the go-to tones for industrial design, a pop of color can really bring personality to the room. 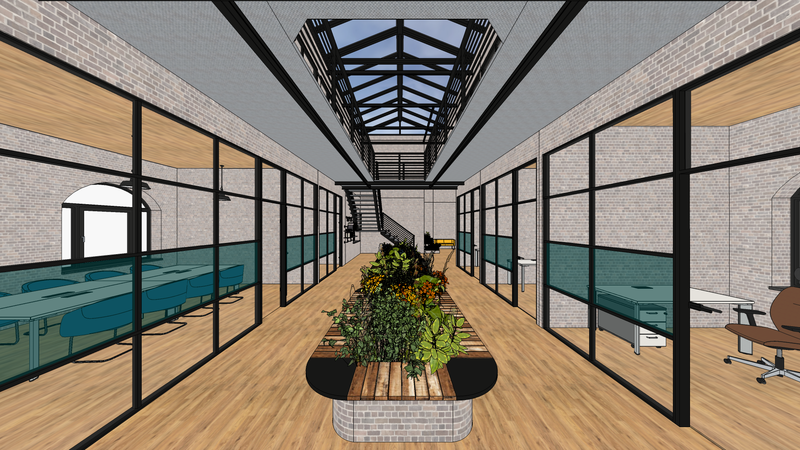 This picture made in pCon.planner shows: Offices look good in industrial style, too. This entry was posted in Room Planning and tagged interior design, pCon.planner, room planning. Bookmark the permalink.